Imagine my chagrin when I was looking over my options for the week on what to do a write up about. Well I can do the usual stuff I enjoy, sure...but to write a piece on something that you don't particularly like and keep it real... that's another thing. What I mean by keep it real is just write about the product, do your best to not inject you over all like or dislike about a subject. That's the thing really, a subject. I really am not a wiz when it comes to math, so to do a write up on a product that has anything to do with math was not anything I wanted to do at first. But lo and behold I soon saw how cool this product was. 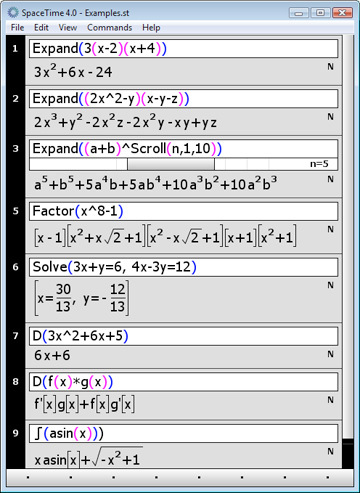 SpaceTime is a graphing and scientific calculator, based on an advanced mathematics engine. Now it's not something the everyday folk are going to be using in a day to day basis, but if your muddling through collage courses, or are in that nitch job that incorporates such specialized equations, then SpaceTime may be what you want to get your hands on for your iPod touch or iPhone. 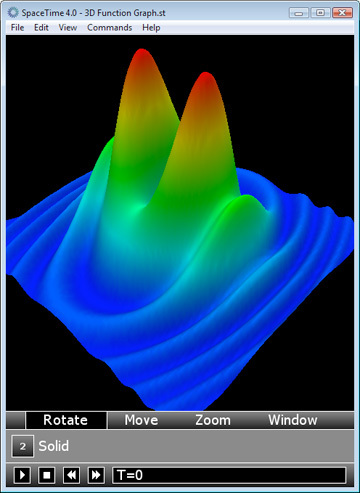 Spacetime is surprising in many respects, it sports all the bells and whistles of a scientific calculator, as well as a graphing calculator, and it also has really spectacular graphics. It's eye candy for the science and engineering world all in the palm of your hand for the iPod touch or iPhone. 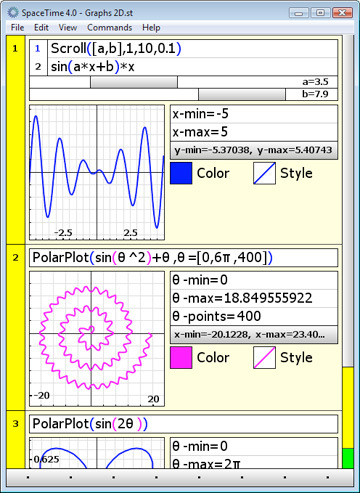 The App has several mathematical abilities, such as Graph 2D, 3D and 4D functions, polar, parametric, and also vector fields, implicit, contour, and fractal plots all with the cool interface of just a tap, swipe, pinch and rotate on your iPod touch or iPhone. Basic math was mind boggling enough for me, wish we had such things when I was younger. The App cover so much more, the online manual list is listed here and covers so much in sub chapters we would not even entertain re listing it here... there is that much it does! 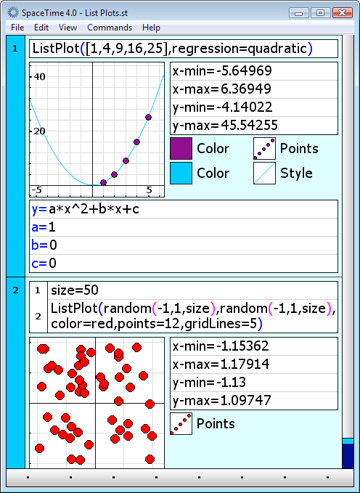 , Algebra, Basic, Calculus, CAS, Data, Elementary, Graphing, Matrix, Number, Plot, Scripting, Special, Special Polynomials, Statistical, Trigonometric, Vector Calculus. There are so many useful functions to the app that I could not help feel a little dim, math is not one of my strong points, but having such a cool app in the palm of ones hand can certainly bolster ones drive to enhance their math skills. More advanced students will find this App very useful, and will perhaps be able to even understand what they have in hand. SpaceTime Calculator is one powerful App, useful in so many ways, if mathematics are your cup of tea, this App is the tea bag for your mind. Pick it up at the App store in iTunes.